Well it has been much longer than I had anticipated to get back to the keyboard and write a blog. 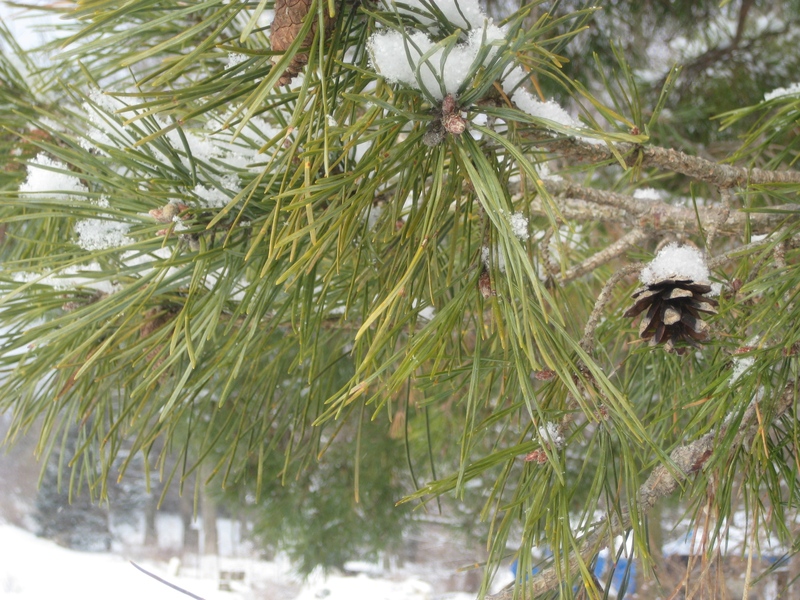 Winter around here does tend to get a bit dismal. After all of the colour and excitement of Christmas and blogmas I went into hibernation mode. You can imagine how pouty I get when we have to take down all of the Christmas lights and my garden is so dark at night. We have had some lovely weather in amongst many cloudy days. 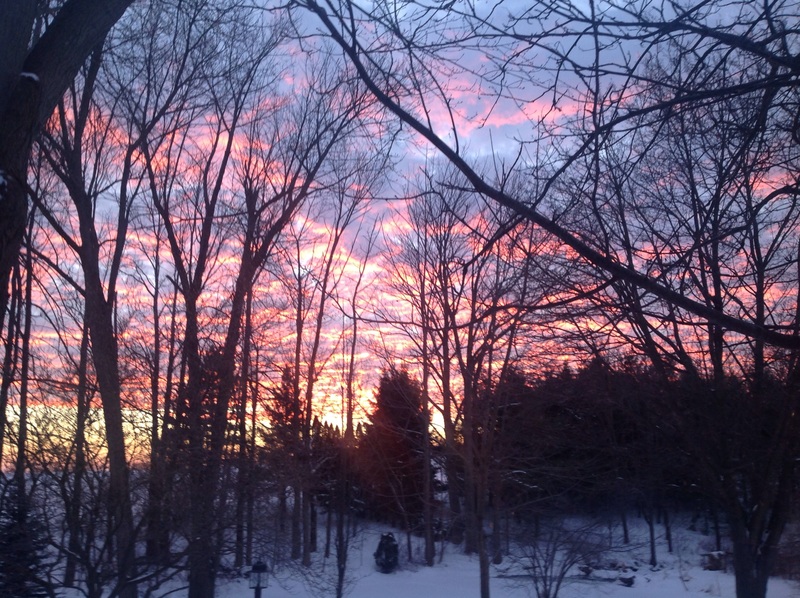 This sunset last week was spectacular. Of course way better in real life that this picture can ever convey. The pinks were vibrant and shimmery. Today, February 22nd has been incredibly warm. Late in the afternoon it was 15 Celsius. 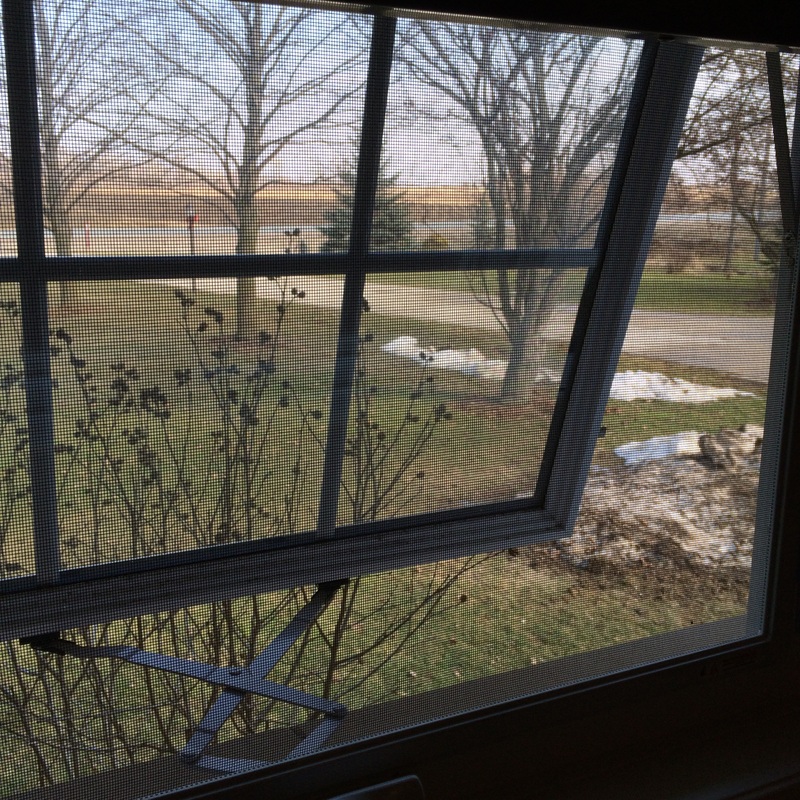 I had the windows open in my office! You can see there is hardly any snow out there, and actual blue sky. I go nuts on a nice day. I get all sorts of energy. 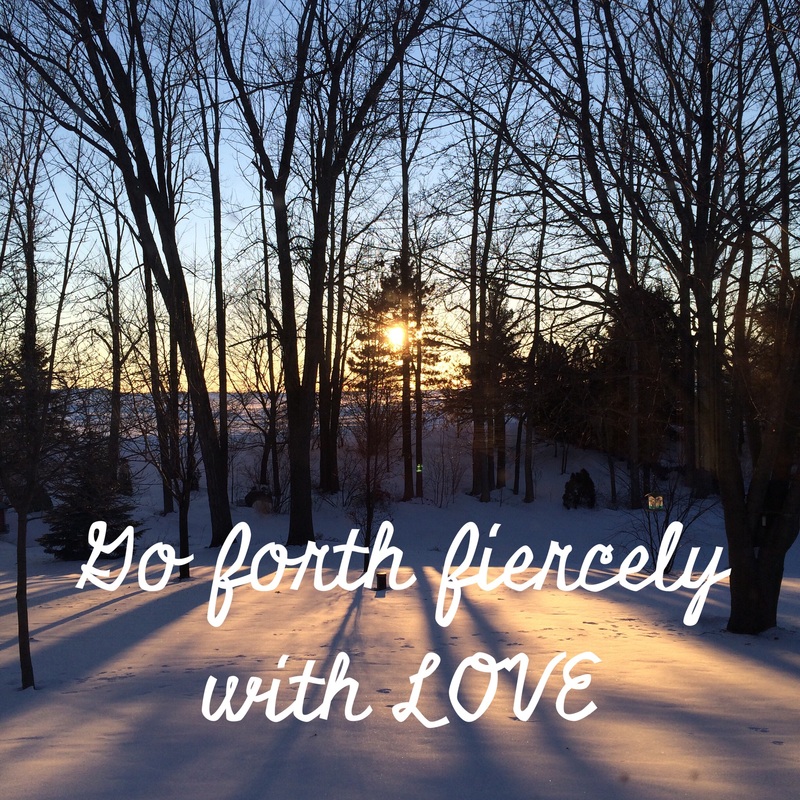 I even get around to blogging for the first time in 2 months! I haven’t been entirely idle over the winter. I finished a knitting project that is making me very happy. 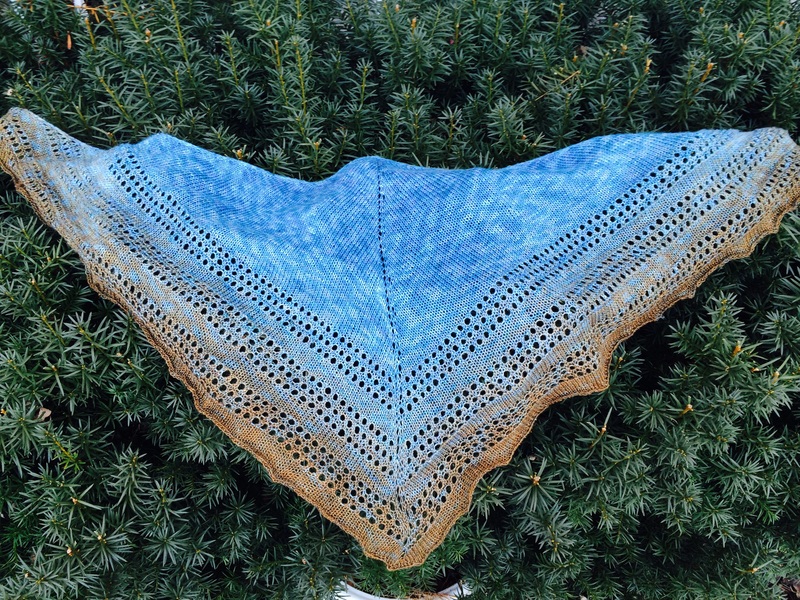 This is the Light and Up Shawl designed my Caroline Wiens. The pattern is available on Ravelry for free. 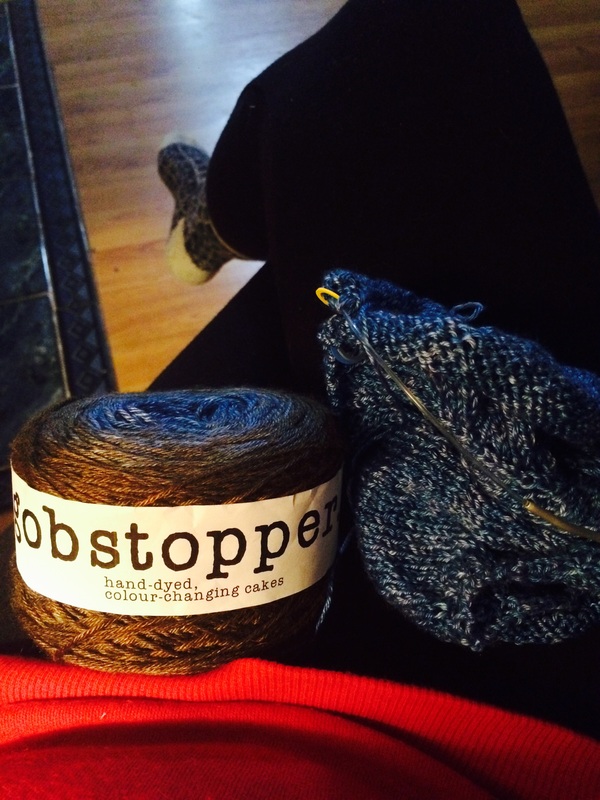 It is an easy pattern and was a good choice for the beautiful yarn I purchased at the Kitchener Waterloo Knitters fair last fall. I added an additional repeat of the lace rows to allow the full gradient of the yarn to show. Blue and brown are one of my favourite colour combinations. 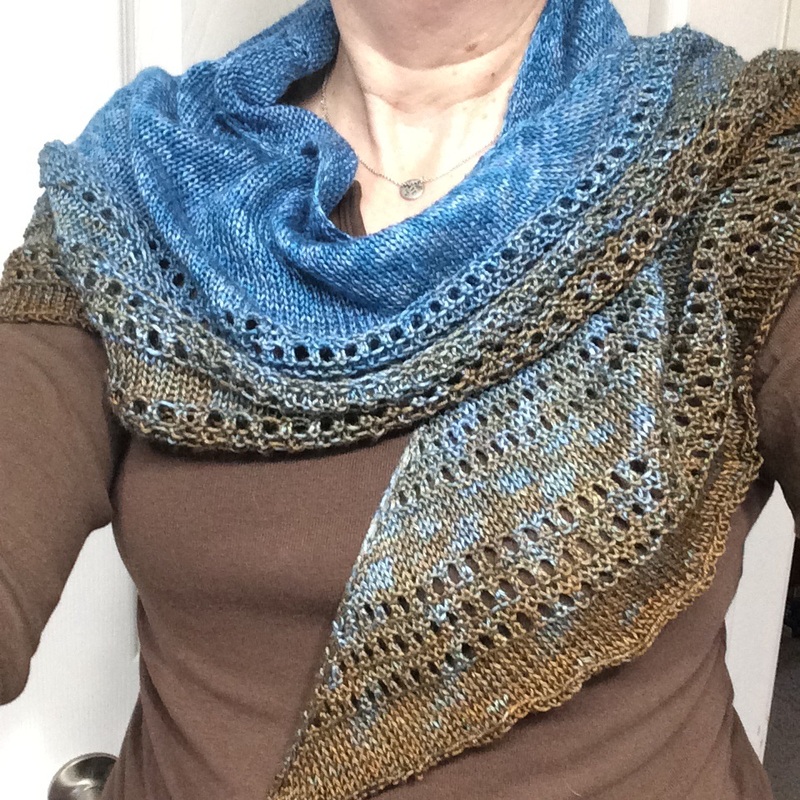 It turned out lovely, and is so soft to wear. The colour name is “sinkhole” which made me laugh because I am terrified of sinkholes. But I believe this is the nicest one I have ever seen. I was knitting by the fire in January when the weather was much less friendly than today. 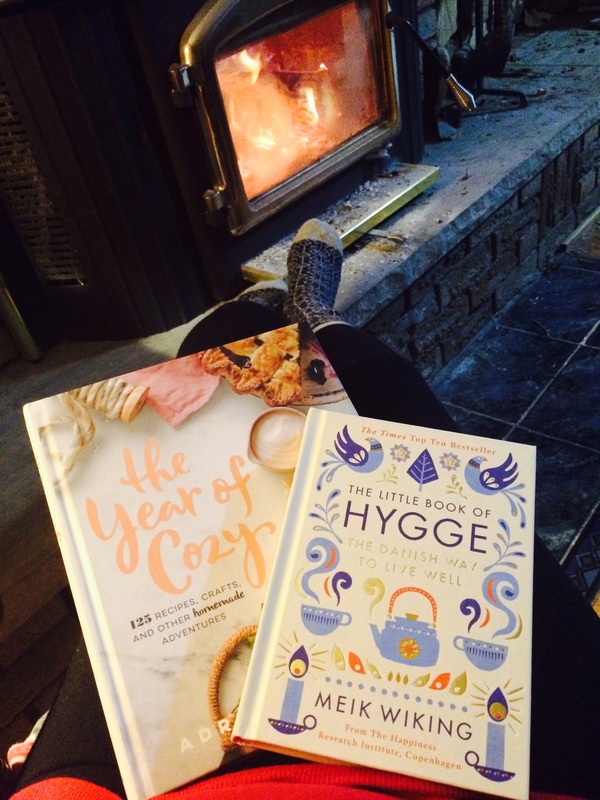 I’ve been embracing the Hygge and all round cozy-ness. I loved these books. 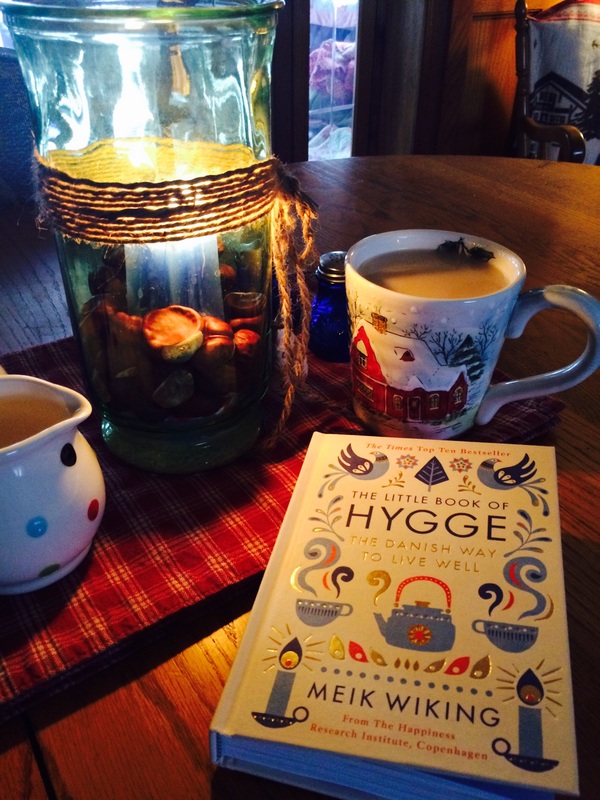 “The Little Book of Hygge” by Miek Wiking which is widely available. And “The Year of Cozy” by Adrianna Adarme. I have read both cover to cover and keep them beside my chair so I can dip in and enjoy again. Lots of inspiration and ideas to make life more enjoyable. Nothing better on a winters day. The weather today is making me think of spring. I have been out poking my fingers in the soil, standing and squinting at areas of the garden that are up for transformation this year, and yes I have already ordered some seeds. The open window had my nose twitching at the prospect of garden time soon. This is the end of blogmas. I am so glad I did it even though some days were a bit thin on content, it proved to me that I can blog more often than I have been. So I’m going to post much more often in 2017. But not everyday. I hope you have a wonderful Christmas. Thanks for reading! Hello my little sugar cookies. It is all on here at Hedgehog Hill. There is baking and cleaning and wrapping going on in every room. Right after Christmas last year I picked up a really cute cake pan. 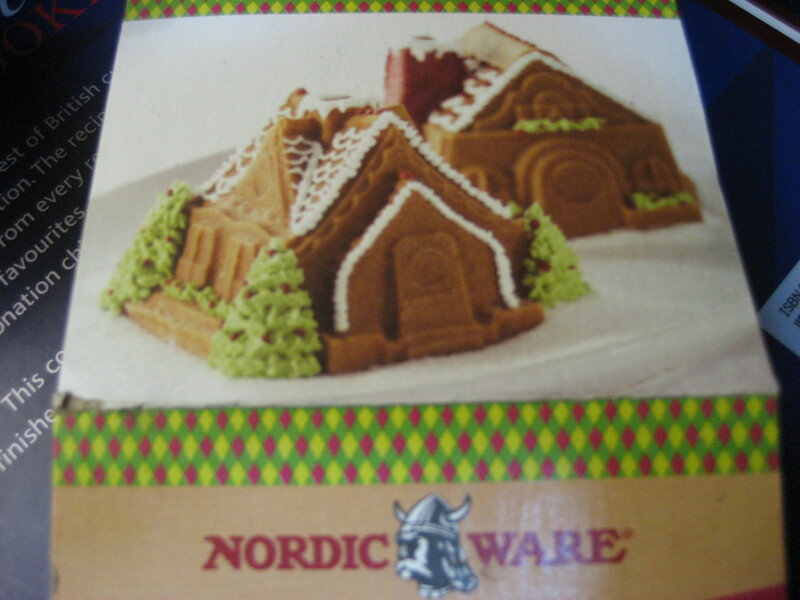 I have never attempted a traditional gingerbread house as I am afraid of the construction. 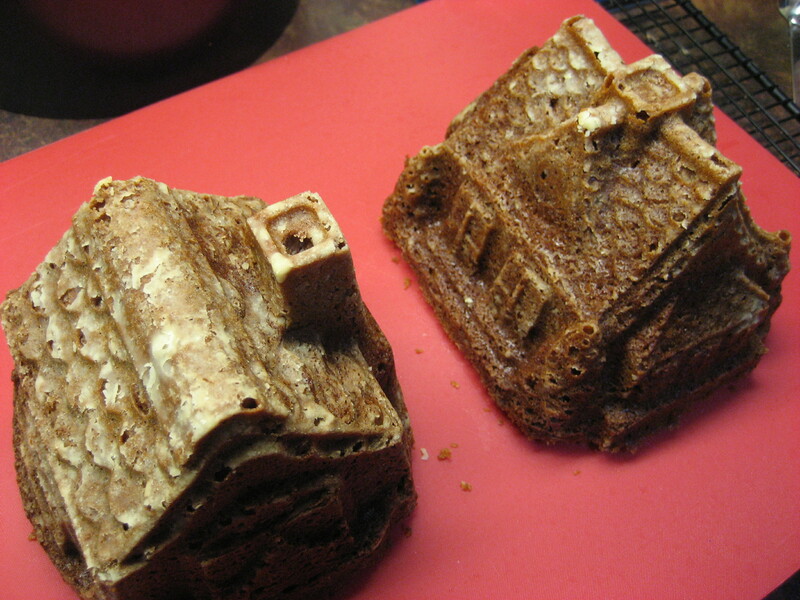 But I though even I could do these cute cottages. So I have been waiting about a year to make these. Now that I think about it I could have made them anytime…with any kind of cake, but I get stuck on the rules you know? 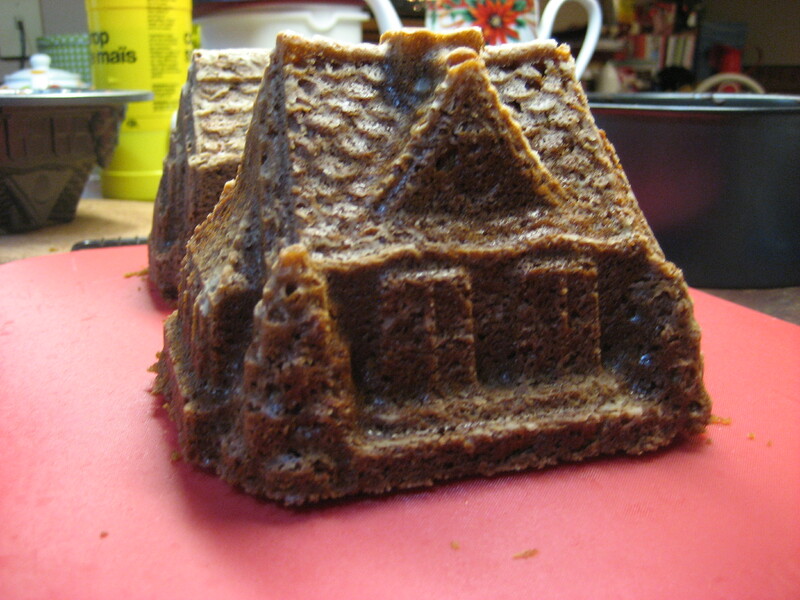 So I had also made a great ginger cake last year from a British cookbook and instead of the recipe on the Nordicware package I used that. What I had not taken into consideration was that the amount of batter would not be the same and I was not sure how full to make the pan….so I’ll be cleaning the oven tomorrow, had a bit of a flow over. But I just cut the excess off and no one will ever know. I’ll have to post the decorated pictures on the last day of blogmas. But those last gifts I was going to wrap the other day? Still not wrapped. I need to get the turkey out to thaw, More baking, no more shopping, It is almost here. I do have to say that I am amazed at how fast this month has gone. Blogmas is almost over and I have not missed a day. The next 3 days are crazy. I’ll try to keep you up to date. Now if I had been thinking ahead about this I would have posted this topic yesterday. But it really didn’t occur to me until I saw a bunch of posts on Facebook that it would make a good topic. Personally I like to mark the solstices as a special day. My reasoning is that both the longest and the shortest day of the year are something that is real and tangible, and the same all over the world (yes given that they occur on opposite days based on if you are in the Northern or Southern hemisphere). So on this day it was either the longest or shortest day no matter where you are, or what religion you are, or what language you speak. We all experience the completion of the season cycle and the return towards the other extreme. So why not celebrate that? Something all humans, indeed all life forms on earth experience? I’m not suggesting we ditch all other holidays or celebrations. But if you think about it even though Valentines Day has roots deep in Christianity (St Valentine) it is really something encouraged by greeting card makers and then florists and chocolate makers got onto a good thing and now it is a multi million dollar day. Except for the very devout, no one is really celebrating St Valentine. The same can be said of Mother day and Father day which are not even the same calendar day in all countries. Halloween which has become a huge marketing scheme is actually the Celtic/Pagen holiday of Samhain. Thanksgiving is celebrated in October in Canada and late November in the USA. Again these are all fine holidays and I’m not suggesting we stop celebrating any of them if we choose. But none of them are experienced by everyone in the world the way the solstices are. They are fact and science and humans have recognized the significance of this change to the worlds axis at least since the building of Stonehenge. So why have we lost touch with the significance of these 2 days? If you are expecting an answer here you won’t find one because I don’t know. But I will continue to take some time to be quiet and thankful on these days that the earth still turns towards and away from the sun. 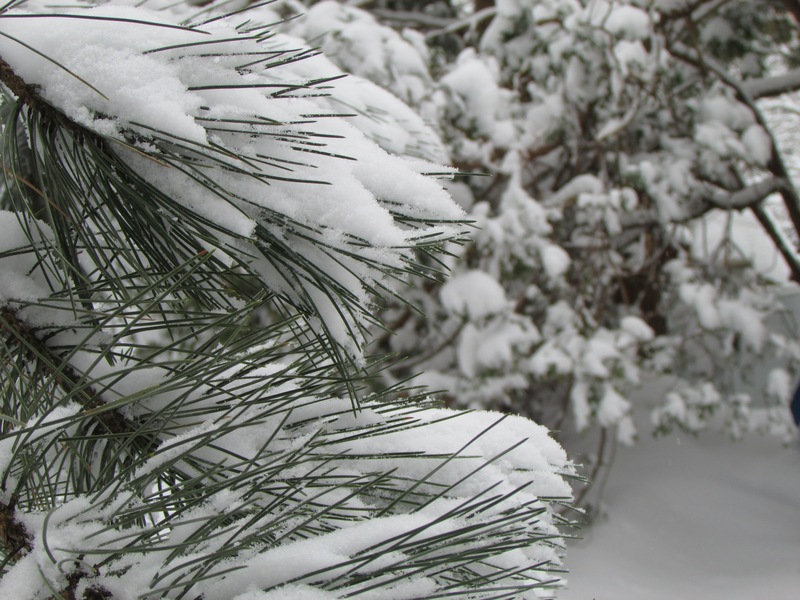 I will be grateful for the changing of the seasons and respectful of Mother Earth. And tomorrow the days will start to grow longer and we approach a weekend of family and food and fun and I’ll raise a toast to that. It is only 4 more sleeps until Christmas! Who is getting excited? One of the things I still have to do is wrap the stocking presents. 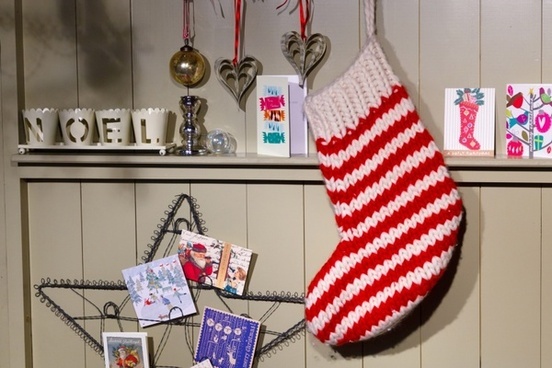 Over the years I have been surprised at how different families do the stocking thing. Of course as a kid you think that everyone has the same traditions. In our house we didn’t hang our stocking by the chimney with care they just turned up Christmas morning on the end of the bed filled with goodies. I used the be amazed at all the stuff in there. I still have my childhood stocking and I am amazed at how small it is. Maybe it was magic, but I always thought it was a mountain of goodies. And in the toe was a mandarin orange. We opened the stockings in bed and one of the gifts was always a chocolate letter. 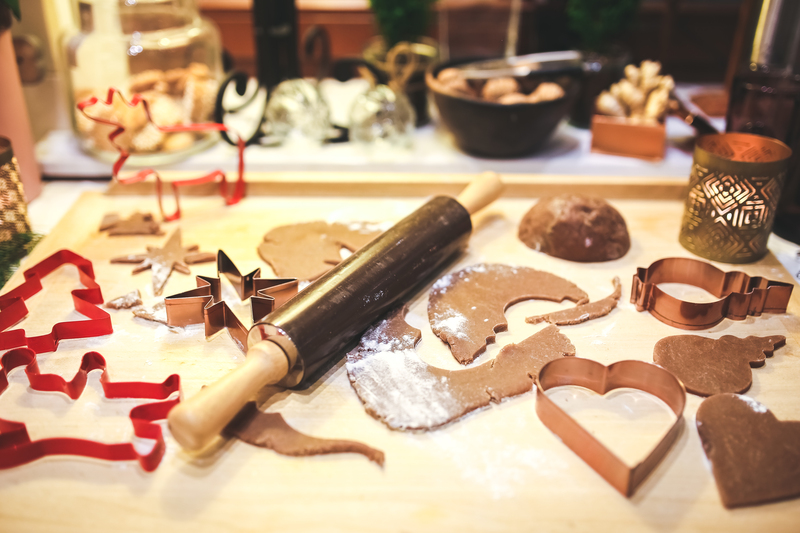 This is a Dutch tradition that we adopted in our family likely because there are a lot of Dutch families in the area and well it is a good policy to adopt all traditions that include chocolate. Somewhere along the line a magazine was included in there as well. This gave you something to read as you munched your chocolate letter waiting until it was late enough to hit the living room for the tree presents. I still like getting a magazine and I look forward to taking a break sometime during the day and having a few quiet minutes flipping pages. The rest of our presents were usually little things, socks, notebooks, toiletries and more chocolate. they were always wrapped which is what I should be doing right now. I followed those same traditions with my own kids. Now that they are grown we tend to open the stockings around the breakfast table while having a juice or tea before moving on to the bigger tree presents. I love it when I see the whole family with their noses in the magazines and reaching for another chocolate. 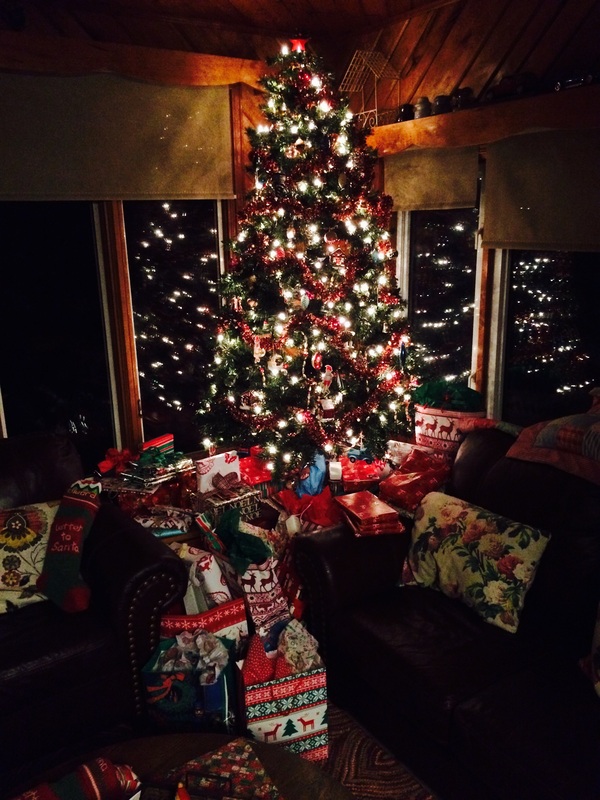 Some families pass on the stockings and have moved on to Santa sacs that does allow for some bulkier gifts. I have to admit I get carried away and sometimes have to have an overflow bag for the things that won’t fit in. Or rather Santa gets carried away….